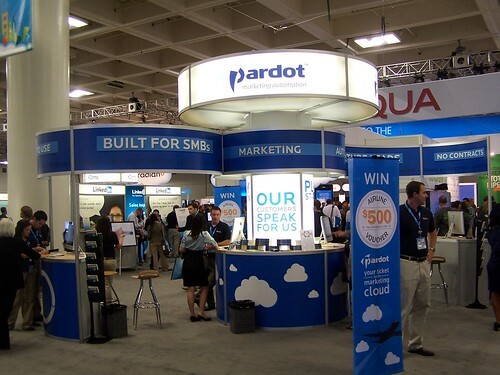 Recent Posts » Want to be Pardot’s VP of Marketing? Want to be Pardot’s VP of Marketing? In case you haven’t noticed, we’re hiring — big time. We are looking to hire a Vice President of Marketing to join our executive team and continue to build out our marketing team. The gig reports to the COO (yours truly) and will manage both a content (PR, thought leadership, collateral, events) marketing and a demand generation (lead generation, analytics) team. Pardot is one of the fastest growing companies in Atlanta and offers some snazzy benefits (full health and dental premiums paid by the company, 401k with match, free food galore, unlimited vacation days – yes you read that right, and more). Shoot a note to [email protected] if you are the right person for the job! Note: The position is based in Atlanta, GA. We have a fun and quirky culture and we want you to be immersed in it. Not in Atlanta now? That’s fine. We’ll help you move here! If you think you have what it takes to be our next VP, shoot an email to [email protected] with your details! Know someone who would be a good fit? Great! Send them our way. We’ll pay a $10,001 bounty for a referral on this position with the same terms we do for software engineers. Thanks a lot Brian. As long as they’d relocate to Atlanta, we are definitely open to folks in Raleigh!